The last episode of Campbell Live on May 31 was more than a sad departure; it signalled the end of prime time current affairs on television. Infotainment content prevails, regardless of viewer concerns. Even Māori TV, once a bastion of public service broadcasting values, has had its integrity rocked by allegations of interference in news independence. Although no single perpetrator can be identified, Campbell Live suffered death by poisoning. The case resembles a murder mystery in which vested interests with clear motives deny culpability. An unfortunate course of events, a regrettable outcome, but time to move on. The poison itself can be clearly discerned: financialised media ownership laced with private equity – a fatal concoction for well-resourced current affairs shows. When Campbell Live’s fate was revealed, MediaWorks and their apologists cited terminal ratings decline. Nothing premediated, no political agendas, just death by natural causes. Like an old age pensioner, Campbell’s days were numbered; time to start anew. Later revelations contradicted the official spin. Nationwide support for the beleaguered broadcaster drove up ratings relative to the newly-hyped Paul Henry Show and TVNZ’s Seven Sharp. 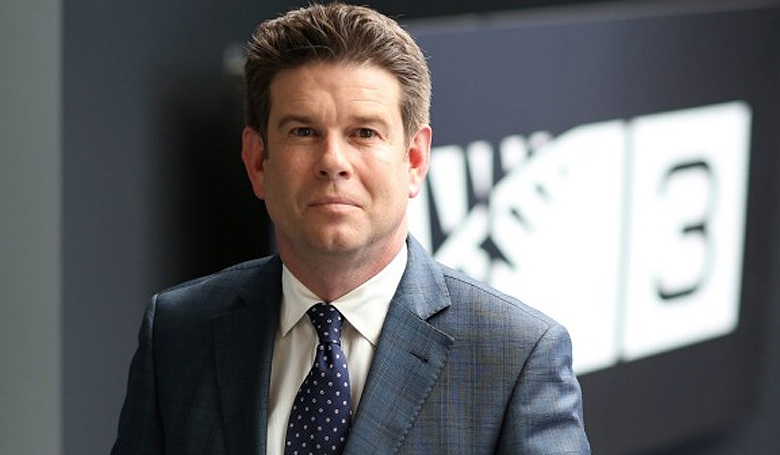 New Zealand Herald journalists found that Campbell Live’s Mazda sponsorship deal had not been fully renewed, even as MediaWorks claimed that the programme’s future was undetermined. 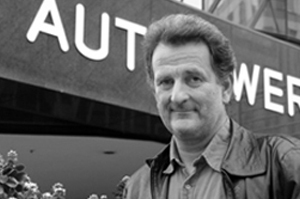 On May 23, Wayne Thompson reported that “MediaWorks management viewed Campbell Live’s crusading journalism as a liability that stretched viewer patience”. They described ongoing coverage of the Pike River explosion as a cause of viewer ‘fatigue’ and criticised the emphasis given to “the aftermath of the Christchurch earthquake”, “GCSB spying”, and “child poverty”. These issues of complaint have three common attributes. They have been embarrassing for the Government, insufficiently addressed by the Labour Party, and were key drivers for the Save Campbell Live campaign. Clearly, MediaWorks claims about the importance of ratings figures and the onset of viewer fatigue ring hollow. Campbell Live’s numbers were improving and public engagement with the show was increasing during the final weeks. What, then, possessed the board of MediaWorks to kill their current affairs brand? To answer that we need to ask, who owns TV3 and what are their objectives? The story begins with the deregulation of broadcasting and the transnational corporate takeover of private media organisations. Four pivotal events initiated this process: the restructuring of Television New Zealand and Radio New Zealand into dividend-generating state-owned enterprises (1989); the entry of TV3 and pay television (1989); the sale of Telecom (1990); and the lifting of all restrictions on foreign media ownership (1991). The entry of TV3 as a regionally-based national network was initially unprofitable, and local shareholders went bankrupt. As of 1994, the new principal shareholders were: Canadian media conglomerate Canwest (20%); Westpac (48%); and an official receiver (32%). From then on, relentless competition between TVNZ and TV3 for the advertising dollar squeezed news and current affairs budgets. Canwest was then Canada’s largest media conglomerate with film, television and other offshore holdings in Ireland, Northern Ireland, United States and Australia. Between 1994 and 1996, it assumed control of the consortium that was running TV3. In 1997, Canwest established TV4. Also in 1997, Canwest began to make extensive radio acquisitions. In July, it purchased More FM’s eight-station radio network for NZ$33m. By December 2000, Canwest had purchased More FM’s parent company, Radioworks. Its stable included Radio Pacific, the Edge, the Rock, and Solid Gold networks, plus 22 other local stations. Further acquisitions of Gisborne Media, Queenstown’s Q92 FM, including six frequencies, plus two Marlborough stations eventually expanded Canwest’s New Zealand holdings under the rubric MediaWorks. Campbell Live began on 21 March 2005 with Carol Hirschfield as producer. The show was always a hybrid; issue-driven stories co-mingled with lighter infotainment pieces, advertising breaks and programme sponsorship. Through it all, a real national presence developed in contrast to the Auckland-centric Holmes Show and, more recently, Seven Sharp. On Campbell Live a public interest ethos drove stories about dirty lakes, air pollution, unhealthy fish shops, fake drivers’ licences, conditions in resthomes, New Zealand residency scams, low-wage cleaners in Parliament, struggling schools, overcrowded homes, and family survival. Interviewees spoke straight to camera minus the elaborate formatting typical of reality TV shows. Campbell Live’s resilience in a non-public service setting was truly remarkable. Given our general concerns about transnational media ownership, the question arises; what worse could these private equity corporations do? The answer is that they introduce a further degree of commercialisation of the media. They are typically investing for at most 3-5 years – often shorter, if an attractive offer comes along. They may have no interest in any particular industry or sector as long as they can see opportunities for profit. Accordingly, Ironbridge Capital’s media investments within New Zealand were complemented by holdings in environmental waste management and a major resthome chain. After the September 2008 financial collapse, global recession and falling advertising revenues raised concerns about MediaWorks’ financial position. In the year to 2009, it posted an NZ$314m loss. In mid-2012, MediaWorks’ debt restructuring involved two new major debt holders – TPG Capital and Oaktree Capital Management. The latter group brought NZ$125m of MediaWorks debt from the Royal Bank of Scotland and the BNZ. By late 2013, MediaWorks was owned by Oaktree Capital (26.7%), Royal Bank of Scotland (21.9%), TPG Capital (15.7%), Westpac (14.6%), Rabobank (14.6%); and JP Morgan (6.5%). Oaktree Capital raised its ownership stake to 43% in 2014 and 77% in April this year. With these developments, Campbell Live was in mortal danger; short-termist, financial imperatives required a new business model for TV3. Julie Christie, Mark Weldon and other MediaWorks managers favoured multi-platform broadcasting, low-cost reality TV shows and infotainment programmes with a skeletal staffing structure. The phrase ‘current affairs’ would be maintained to obscure the objectives of restructuring and to taint Campbell Live’s accomplishments as a dated, fatigue-inducing form of the genre. Will the new business model work? In the short-term probably not, but this is beside the point. Oaktree’s likely objective is to squeeze revenue from its more profitable radio holdings while selling off the television assets, if a willing buyer can be found. Against this background, the coroner’s verdict is clear. In a commercially-saturated mediascape, issues-based current affairs has died; a species poisoned by the financialisation of media ownership at a politically convenient time. Campbell Live was the last of the species – RIP. An earlier version of this article appeared on The Daily Blog. Rosenberg, B., & Mollgaard, M. (2010). Commentary: Who owns radio in New Zealand? Communication Journal of New Zealand 11(1) 87-109. JMAD/Journalism Media and Democracy (2012, 2013, 2014). New Zealand Media Ownership Reports.